The Rolling Spider houses a slew of technologies--including an ultrasonic sensor, 3-axis gyroscope and accelerometer, and pressure sensor--that help keep it unusually stable for its size. 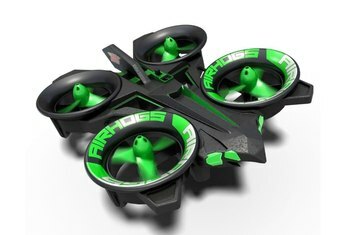 The detachable wheels allow for unusual maneuvers and also provide some protection for the tiny propellers. 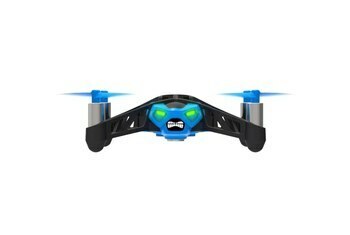 The Freeflight app that controls the Rolling Spider lets you get up and running with a minimum of fuss. 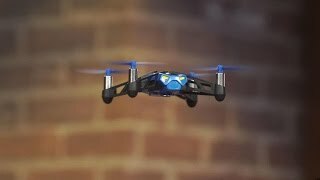 The Rolling Spider's battery life is minuscule, topping out at 8 minutes, and recharging takes 90 minutes, an unusually poor flight time to charging time ratio. The unit's tiny size makes it a poor choice for flying outdoors in any kind of wind. 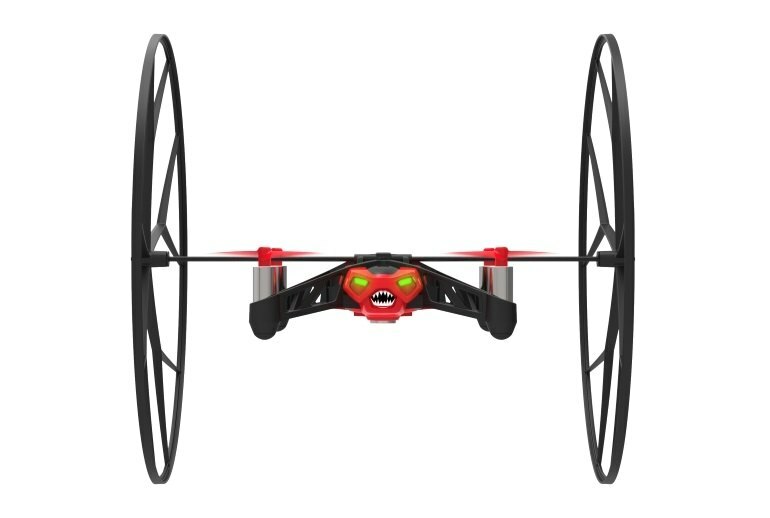 The Rolling Spider is pricey for a drone of its size. 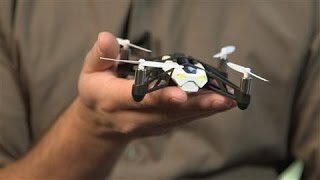 The Parrot Minidrone Rolling Spider is a small quadcopter you control with the free Freeflight 3.0 app that is available for Android, iOS, Windows Phone, and Windows 8.1 mobile devices. 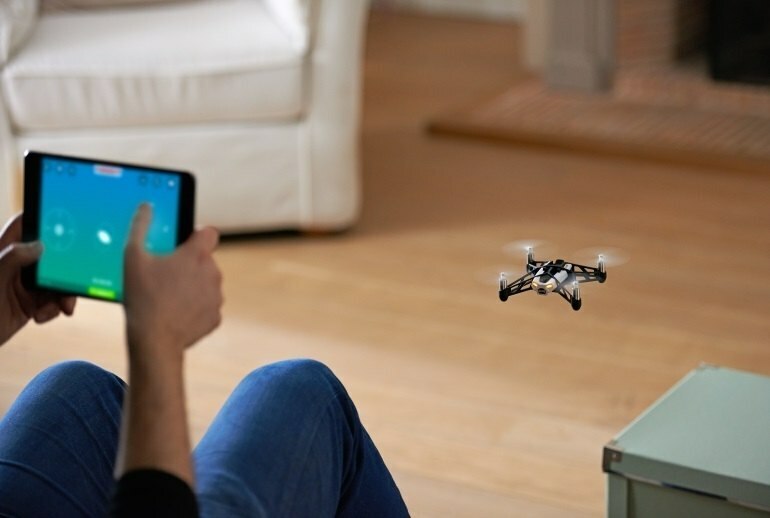 The drone connects to mobile devices by Bluetooth. 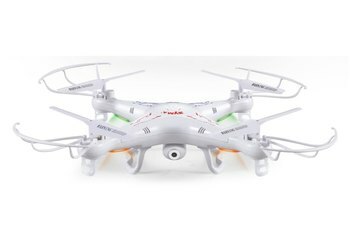 It's equipped with a vertical camera that can snap still photos, and large wheels that can roll on floors, walls and ceilings when flying. You can remove the wheels for conventional free flight. Is this minidrone fun? Absolutely. Is it flawed? Yes. Even so, it’s one worth considering. If you’re looking for a toy capable of zipping around your home and backyard, doing a few flips and rolls, and snapping low-res photos, then this one is perfectly capable. 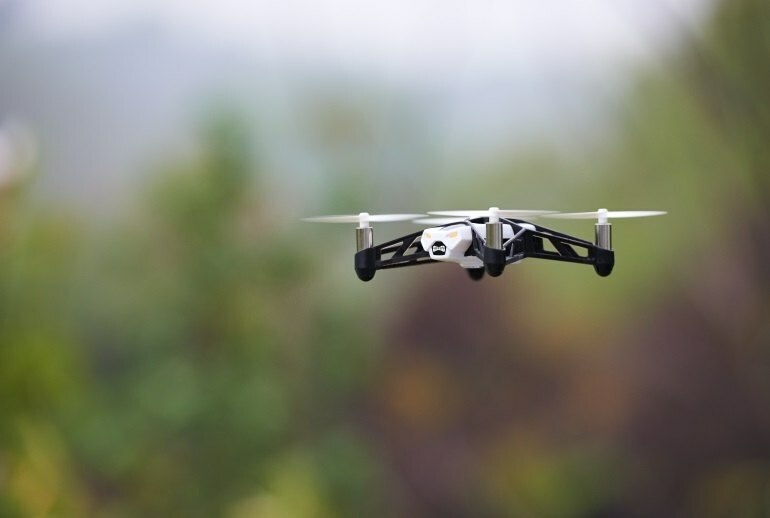 The small drone buzzes around like a large insect and is sensitive to gusts of wind – strictly a fair weather or indoor toy – but is perfectly sized to whizz around the indoor halls of even the smallest flat. Beyond two on-screen joysticks that can be reconfigured somewhat to user tastes, collectively enabling height, rotation, and Z-axis movement, hidden buttons can be tapped to make Rolling Spider spin 360 degrees forward, backward, left, or right in the air, a cute trick that rapidly depletes the battery. The more barrel rolls you do, the quicker Rolling Spider’s promised “8-minute” battery life seems to evaporate. If the Rolling Thunder has an Achilles' heel, it's the drone's battery life. 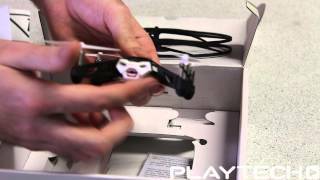 The little 3.7V 550mAh lithium polymer rechargeable battery only keeps the Spider running for about 5 to 8 minutes and it takes approximately 90 minutes for a full charge. 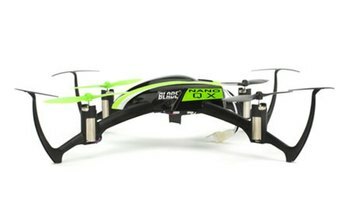 Finally, each battery only offers about 8 minutes of flight, and the batteries require an hour and a half of charge time to fully recover. The Lithium Polymer batteries themselves are capable of a much faster recharge cycle, but because each battery can only be charged through the device itself, they’re limited to a slow charge. 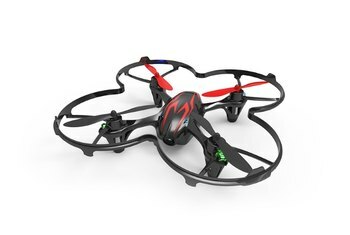 A beginner drone it may be, but there's certainly a bit of a thrill when the rotors kick into action, a whirring sound that that could be described as a giant blowfly on steroids. 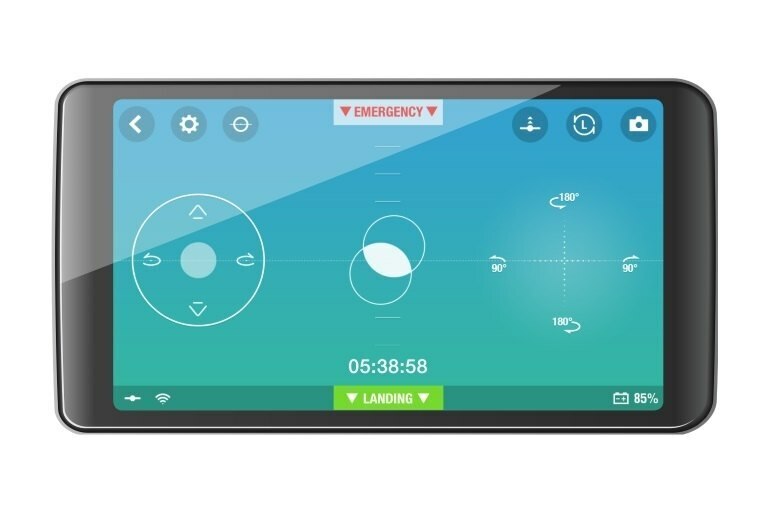 Parrot’s decision to go with smartphone controls on its series of drones are what set them apart from most remote-controlled competitors, but the on-screen controls are like operating FPS games on touchscreens, which means they’re less responsive than traditional hardware joysticks you might find on a gamepad, and you’re going to experience a lot of ‘meant to do this but did that instead’ when you’re coming to grips with it.